No terrain will stop this insatiable triphibious killing machine. It can burrow underground and even fly through the air as easily as it can swim through salt or fresh water. 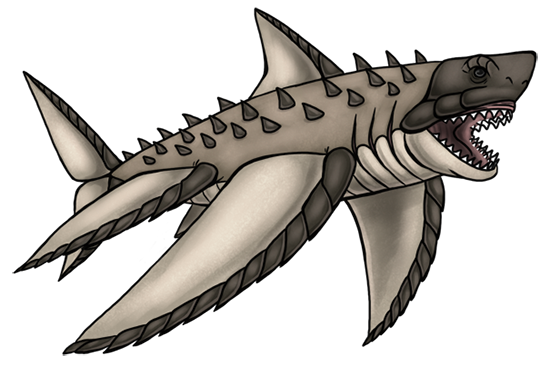 It has a retractable fontanellar gun in the back of its throat that grows its own set of teeth which it uses as ammunition. It can launch these specialized bullet teeth from its mouth at a rate of 1000 rounds per minute. Sometimes it can become overstimulated by the scent of blood and enter a “feeding frenzy”, indiscriminately biting at anything within reach: only an exceptionally skilled Tamer can resist this Kreature's killer instincts.